In the deep south at Bristol Motor Speedway, an undeniably talented New England driver won the NASCAR Xfinity Series race this past weekend. In victory, Ryan Preece proved beyond a shadow of a doubt that he belongs in NASCAR’s upper echelons. This was a winning drive achieved with style, the kind of effort that can – and should be – the turning point in a race car driver’s career. 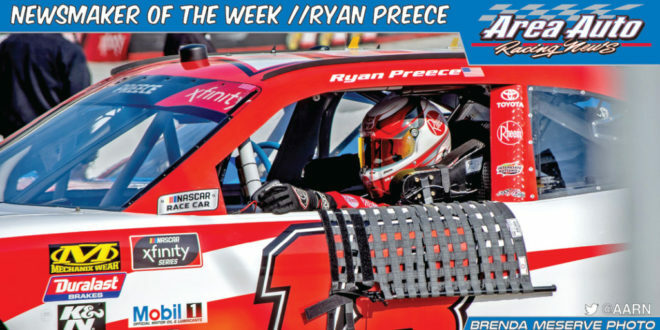 In a very real way, Ryan Preece’s drive to victory at Bristol was a win for everyone who races on pavement and has greater aspirations. Such an achievement, and its meaning, define what makes a Newsmaker!